Coppell senior forward Rebecca Watley and junior midfielder Margaret Roberts get emotional after the Cowgirls were eliminated from the playoffs at Broncos Field on Friday. Carroll defeated Southlake Coppell., 3-1. 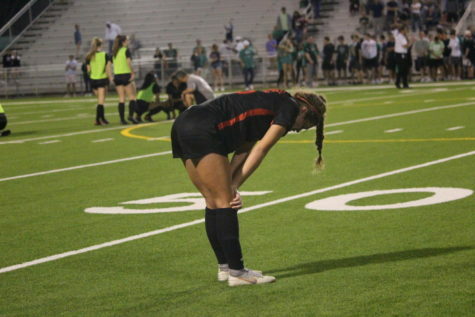 After a season full of success, the Coppell girls’ soccer team suffered a 3-1 loss during last night’s Class 6A Region I quarterfinal match against Southlake Carroll at Denton High School. The district champion Cowgirls end the season 26-2-1. With the season wrapping up, Coppell’s seniors were hoping to close their high school careers with a victory but instead left the field with heavy hearts. Coppell junior midfielder Katie Odum reflects after the Cowgirls were eliminated from the playoffs at Broncos Field on Friday. Carroll defeated Southlake Coppell., 3-1. The Dragons made their first goal early in the first half. According to Coppell coach Ryan Dunlevy, a foul at the beginning of the game went unnoticed, putting the Cowgirls at a disadvantage. Midway through the game, Coppell junior Montserrat Lomeli cramped up and stepped out of the game, as the Cowgirls were still recovering from Tuesday’s overtime game against Mansfield Lake Ridge. Going into half time, the Dragons led 1-0. But in the second half, with about 40 minutes left in the game, the Cowgirls earned their first goal, heading into first overtime with the score 1-1. But during that OT, the Dragons scored twice to take a 3-1 lead. Coppell fought hard until the game’s last second but failed to redeem themselves. 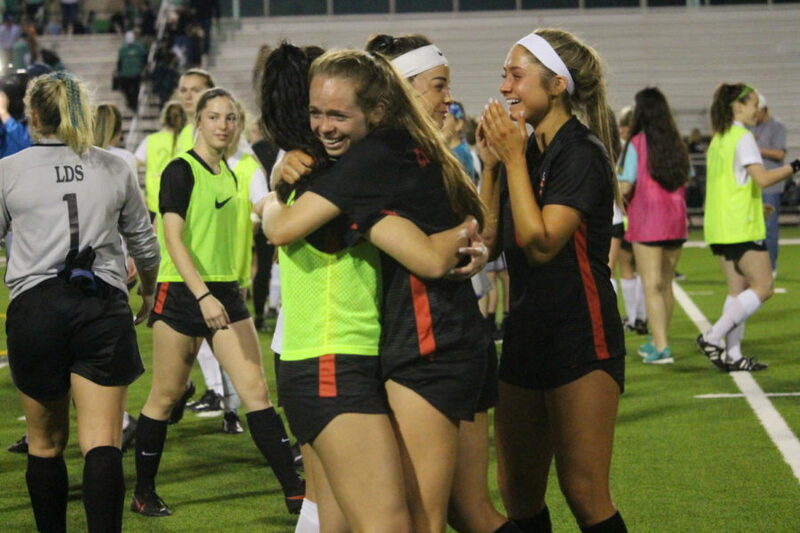 Although the Coppell seniors cannot say they won their final high school soccer game, there are other things to be proud of, according to Dunlevy. 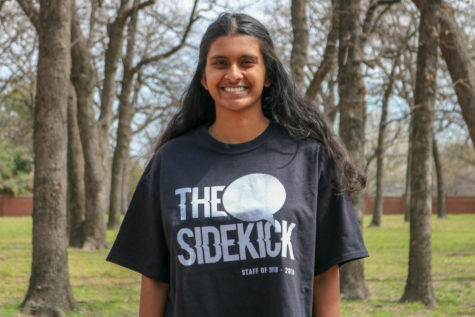 The Sidekick’s Neveah Jones contributed to this report.